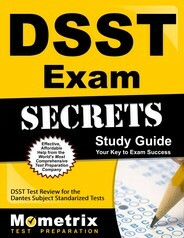 DANTES Subject Standardized Tests (DSST) is available to help individuals receive college credits. 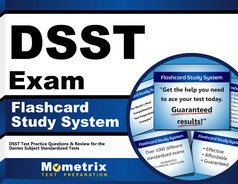 Unlike Advanced Placement (AP) examinations that typically offer college credit to incoming freshmen for lower division courses, DSSTs are usually taken by nontraditional students and can be used for upper or lower division courses, depending on the test. Sometimes an individual can be eligible to take the DSSTs based solely on their life experience. The following is a list of examinations and their subject matter currently available through DSST. Every college has their own crediting policy, find out the college or university’s crediting policy before registering for an examination.